It's difficult to pinpoint when exactly did cricket manage to seep into our daily lives but it definitely has. One doesn’t need to be a cricket fanatic to notice the grip that cricket has over the nation's imagination. But ever since the slam-bang version of cricket - T20 - and thereafter, the IPL (Indian Premier League) invaded our lives, it has taken not just India but also all the other cricket playing nations by storm. Though the format had already started to become popular in Australia, England and South Africa, but the T20 fever really caught on with the Indian public only after Dhoni's men won the inaugural T20 World cup in 2007 at South Africa. Since then, there has been no looking back. In this fast-paced electronic age when time is at a premium, people don't always find time or have patience to sit through 100 overs of cricket (one-dayers) or the 5 dayers. So the T20 version came as a welcome change. But a T20 match is a fickle format. All strategies and pre-plannings can go haywire in a matter of minutes. So no matter how strong or weak a team is on paper, there remain no clear favourites in a T20 game. That is what makes the matches so exciting. Every year, as the month-long cricket carnival of IPL commences, cricket fever grips India and the entire nation sways in frenzy. The cricket-mad public that we are, we need no second invitation to a tournament that’s more a six-hitting fest than a sedate affair. Every match is a jamboree of unbridled shot-making, screaming crowds, deafening roars, Bollywood music and prancing cheerleaders -- a perfect cocktail of glitz, glamour and cricket. Moreover, people get to see a flurry of fours and sky-kissing sixes in almost every innings that every match turns out to be "paisa wasool" affair for them. They couldn't have asked for more. No wonder one finds the cricket venues completely jam-packed each time. 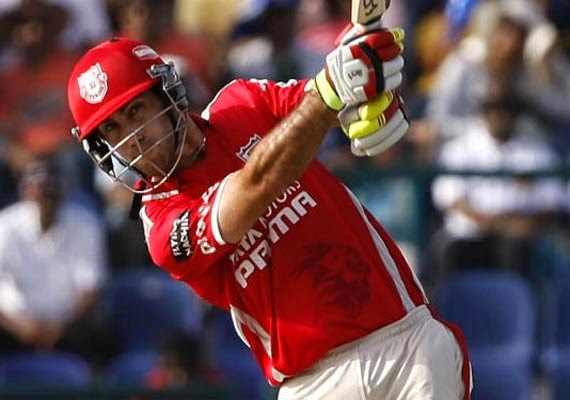 IPL has not only brought some of the finest contemporary cricketers from around the world to play alongside the Indian cricket stars but has also become an incredible platform for rookie cricketers to exhibit their talent. Merely sharing the dressing rooms with some of the finest cricketers from different nations, can immensely help the youngsters to learn and they can only get better. The IPL has bridged the gap between first-class cricket and international cricket considerably, for now the young talents that emerge out are utterly fearless. It is not only lucrative but has now also become an avenue where if the cricketers can stand up to their talent, they instantly catch the eyes of the world and attain celebrity status over-night. Since its inception, it has continued to produce some of the best promising talents, who then go on to represent their respective national teams. So IPL has surely succeeded in unearthing some of the finest future talents, thus justifying its tagline of 'Talent Meets Opportunity'. When the seventh edition of the IPL kicked off in UAE last month, I was apprehensive about whether it would be able to generate the same enthusiasm among the cricket fans like the previous seasons and whether they would throng the stadiums like before, because their faith had definitely been shaken up by the spot-fixing and the betting scandal that transpired last year. But thankfully, all my apprehensions were put to rest in the first match itself. The love for the game among the Indian fans is so much that no matter what, they continue to support their favourite cricketing stars and teams. So they would not want to miss any match, especially if it involves some of their favourite cricketers. Not always though is one able to catch his favourite team or player in action on television. He/she may be on the move and so would be away from his/her tv set. And it's never the same feeling with just getting to know the latest scores through text smses or through websites like cricinfo.com or cricketnirvana.com as it is with watching the live action! But with the newly revamped starsports.com with plenty of handy features having been added for better live streaming, one can now enjoy watching an IPL match from virtually anywhere! So now, it doesn't really matter if one can't make it to his/her home on time to catch the live action on television. He/she needn't have to make do with only the highlights or with the repeat telecast at odd hours of the night. 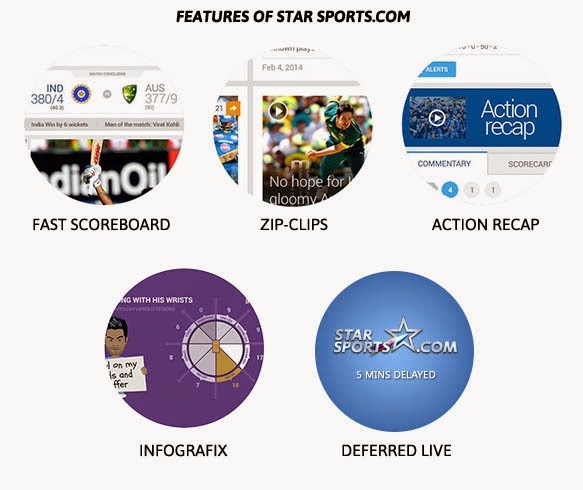 With features like FAST SCOREBOARD (that updates the score faster than everyone else), ZIP CLIPS (videos that capture key match points in real time), ACTION RECAP (that allows one to catch up with the match any time), INFOGRAFIX (informative snippets like a wagon-wheel chart that shows the scoring pattern of a particular batsman in that match or a particular bowler's bowling map -- how far down the pitch he had pitched the balls etc) and DEFERRED LIVE feature (that allows the free streaming of the match with only a 5 minutes delay), one couldn't have asked for more! But the INFOGRAFIX feature has impresed me the most. Because I love to look at all the small details while analyzing a batsman's performance or that of a bowler or even that of the team. With all such detailed statistics like a chart to show year-wise bowling stats of a particular bowler in IPL - how he has fared over the various seasons, his bowling average and economy rate for each season etc; or the strike rate of a particular batsman against the opposition teams over the various seasons of IPL; or how the strike rate of a particular bowler becomes significantly high when bowling to the left-handers; or whether a particular bowler has better strike rate bowling over the wicket or round the wicket, an extensive report card of the players and the teams can be prepared. That will enable the cricket aficionados to have a fair idea about the different aspects in a match -- the batting, bowling, fielding, partnership or over-by-over analysis etc. Thus watching an IPL match while still on the move is now just a few clicks away and the experience is wonderful (and detailed), like never before, all thanks to starsports.com. Way to go.